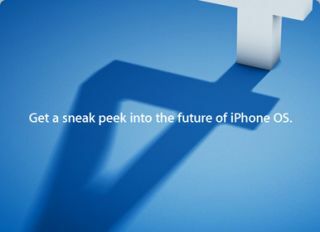 Apple has announced that it will be unleashing its new iPhone 4 firmware with a summer release date. The new OS will only run fully on the iPhone 3GS and the iPod third gen, with the iPad supported from Autumn too. Bad news for those rocking an iPhone 3G - Apple will let you use the new iPhone 4 firmware, but you won't be able to do things like multi-tasking as well as other firmware upgrades. Unsurprisingly, there was no mention of the old 2G iPhone, and it's likely this isn't supported at all. The developer preview is available from today, meaning we won't have too much longer to wait to find out the real ins and outs for the new system. We're still waiting for a proper UK release date as well, although it's likely to be released at the same time as the US if previous form is anything to go by. The news means that we may have to wait a little longer for new version of the iPhone as well - last year the new firmware debuted on 17 June, which is a little early for summer, ahead of the 19 June release of the iPhone 3GS.